After spending all that money on studio time and session musicians, what did it get me? How can we transform a pile of digital recordings into a finished CD? And how much feedback can I throw at my producer before he gets annoyed and stops answering my messages? 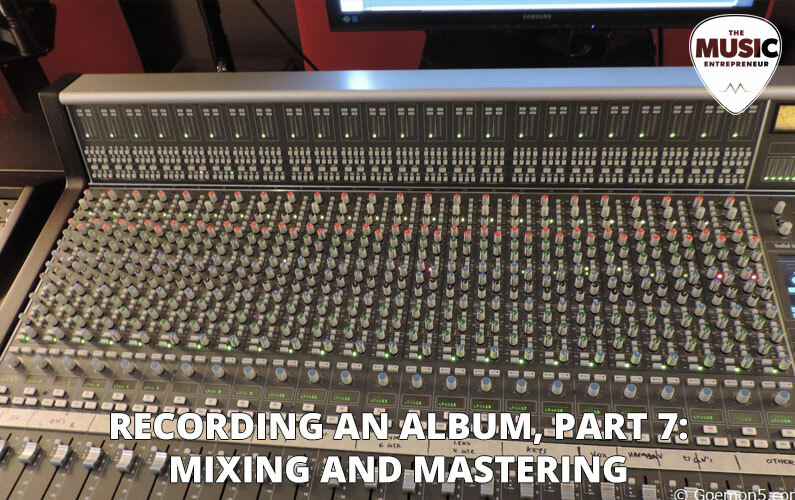 The answer lies in the right mix, and today I will talk about my experience with mixing and mastering, so that you get a feeling of the amount of change that is involved in each of these steps. Once you have recorded your own parts for the album, your producer can stick your tracks together like LEGO bricks, and provide rough cuts of the songs as they sound so far. “Rough cuts” are not optimized for anything, but should provide you with an impression of the general structure of the songs. Every song comes with layers of tracks, each recorded separately. Depending on how many takes you recorded for each song, your producer will have various options for every track to choose from, so he probably won’t spend much time mixing before all of the tracks for one song are assembled. Still, it is important to listen attentively to the rough cuts, because sometimes you sing a song in a bunch of different ways. You swallow a syllable, mispronounce a word, or even sing or play notes and words that are not supposed to be in the song. For example, the first rough cut of my banjo song “Brown and Blue” missed multiple syllables, predominantly the “s” sounds at the ends of many of the verses. Story-wise it makes a huge difference, if the “lies melt away in her blue eye” (singular) or her “blue eyes” (plural). One letter can mean the difference between romantic hypnosis and physical assault. You better check for these problems early, so that your producer knows what he is up against, and can make corrections before sending the tracks off to the session musicians. Especially if your sessionals sing vocal harmonies – you have to ensure that they are getting the right source material. Otherwise they will sing as wrong as you did, and as time passes, the mistakes will be increasingly harder to correct. Errors like the missing endings of words are often leftovers from early takes of a particular song, but can also be the result of early editing. My producer Craig loves to fiddle around with the various tracks, and so I got many rough cuts with missing consonants, because Craig used fade-transitions to puzzle two tracks together. Communication is an important part of the process. The only way of knowing exactly what happened to your song, and how it might be fixed, is by providing your producer with an exhaustive list of all the errors that you found. He or she will then hopefully go through your comments, and fix the tracks accordingly. Is the timing of solos and words correct? Sometimes the piano starts a bit late, or the chorus is a bit early, and it is simple enough to shift those bits around. My two vocal duets with Joanna and Emma required much puzzling with sound snippets to align the harmonies of these songs. Matching the timing of notes can be annoying, but definitely pays off. Are all tracks loud enough, or is the lead vocal outshouting everyone else? In several songs we had to turn up the volume of the vocal harmonies, because they were otherwise not audible. I spent good money on those harmonies; I want to hear them! Do volume and intonation change in an ear-pleasing manner? Gregorian chant is nice, but outdated, because polychoral song (layering of vocal chants) is so much nicer. No one wants to listen to the same chorus four times, but you can fix that by incorporating different versions of that chorus. Ideally, the changing intonation of the vocals would match the story of the song. My ukulele song “York Railroad Station” consists of five verses and choruses. That could have been a disaster of repetition, but we saved the song by letting different instruments dominate different verses. Since every lead instrument improvises its own harmony line, getting another instrument to lead the next verse can make it sound very fresh, even though the vocalization remains almost identical. Some of your editing comments can be accommodated with a few simple mouse clicks, while others take considerable effort. You probably won’t know the difference until your producer tells you. I didn’t. That’s okay, just make sure that you keep a comprehensive list of all your comments, so that you can return to it at the end of the mixing process, and check whether or not every suggested change got accounted for. This probably sounds ludicrous when you are just starting to record, because “you can hear what is wrong with the song”. However, towards the end, when you are listening to fifteen songs, with five or six instrument and vocal tracks each, you will not be able to recall the long list of issues that you wanted to change about your songs back when you heard them for the first time. Keep an itemized list, and check it in the end; being organized is nothing magical. Some of your initial comments may just be silly. A few of my first rough cuts came with a very loud and bulky vocal track. I was already worried that I would have to sing those songs again, because my voice was so loud that I could actually hear the air being compressed in the microphone. As it turns out, this is nothing to panic about. A vocal compressor gets that fixed easily. Finding the right settings for the compression takes some experimentation, though, which is why Craig likes to perform this step in the end, when he has nothing left to record, and only has lots of tracks to mix. If you are not sure how helpful or silly your comment is, put it on the list. Your producer will tell you what he thinks. On a different note, try to be coherent and organized about your commentary. When you have two or three rough cuts assembled, work on a comprehensive list, and send it off when you feel that it is complete. Don’t bother your producer every day with new brilliant ideas. 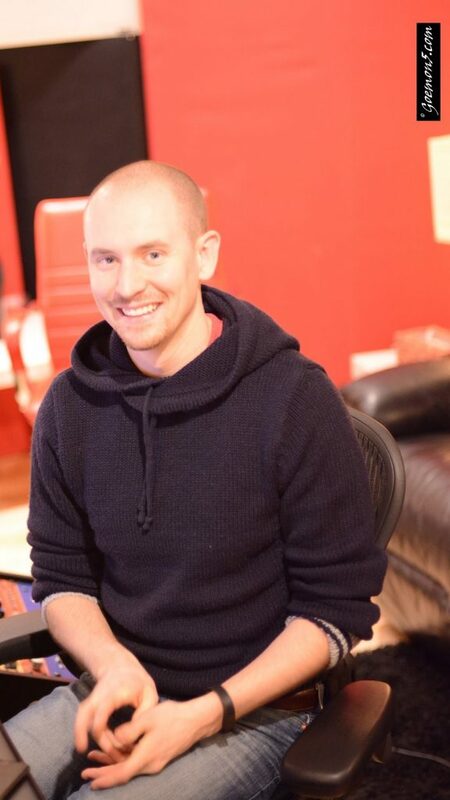 He has other projects to work on, and can tackle your suggestions much more efficiently if you provide them in form of a wholesome compendium rather than in random bursts of unfocused annotations. I had very few arguments with my producer regarding the way that he mixed the tracks. As you know, I was in the studio for every single recording session for this album, so I gave my commentary live and directly to the session musicians. That made the whole recording process feel very organic, and we had most of the mixing discussions long before Craig even got to the mixing board. If you don’t have the time to follow this path, you can always let your hired hands record without you. Producer Craig Newnes hard at work. Your producer will pick the tracks that he finds most suitable. You can then object and comment, but if the musician did not record the funky riffs that you wanted, you won’t be able to mix them in. The final mix is something quite precious, so don’t be afraid to attend to every detail of it. Whichever way it turns out, this record will stick with you until the end of days. You can always remaster songs, but remixing is very difficult, especially when time passes by, and you forget what you actually wanted remixes of a particular song. When your producer sends those “final mixes” around, sit down with them, and listen. No matter how often you have heard a particular song, listen to it at least three times, and write notes while you do so. If there are songs that you cannot enjoy three times per day, they shouldn’t be on that record anyway. The first time I listened to my final mixes very intensely; just me and the computer, writing down every comment that jumped into my head. I then carried on with my work whilst continuing to listen to my album on repeat (this was the time during which I created the final layout of my physical album, so I was actually able to attend to both tasks at hand without having to focus too hard on either of them). There really isn’t a good rule about this, but you probably should listen three times to every song before you check it off the list. For example, “Shannon” became my favorite song as soon as I got the rough cut with piano track from Craig. The composition of this song was totally amazing fairly early on, and I never wanted to change anything about it. Yet, when I listened to it three times in a row, I found a few tweaks here and there that made the mix even better. The first impression is not always the right one. Some ideas and comments have to ferment before they can be decanted and savored by your producer. Once you have assembled a list of comments, let it sit for a day or two. Return to your ideas a few days later, with a fresh set of eyes and ears. After four repetitions of the same song, you undoubtedly start to hear little gremlin giggles. When you reach the point of tedium, you have to stop. Let it rest. There is no perfection in art, and some of the blotchy details that annoy you on one day might turn out to be beautiful spots of color on another. Time helps wonders in this process, and re-listening with a few day’s distance will open your understanding of the music to a much richer spectrum of options. Repetition kills. Remember that 90s pop song that you totally loved when you heard it the first time, but grew increasingly annoying the more often you heard it? To ensure that your own songs don’t suffer the same fate, you will have to simulate the test of time yourself by putting critical songs on repeat. Yes, that lonesome harmonica tweet sounded really cool and innovative when we mixed it into the second verse of “York Railroad Station”. But as I listened to it more often, and the fresh and innovative song became “just a song”, it became increasingly disturbing not to hear any more of that harmonica in the second verse. The song composition had to change in order to keep the song enjoyable long term. We eliminated the harmonica from the second verse, and the song immediately sounded much more complete. If you are uninitiated to the recording process, as was I, you may think that a lot of the little fixes are done during the mastering, such as the volume levels of the different tracks that comprise one song. That is not how it works. 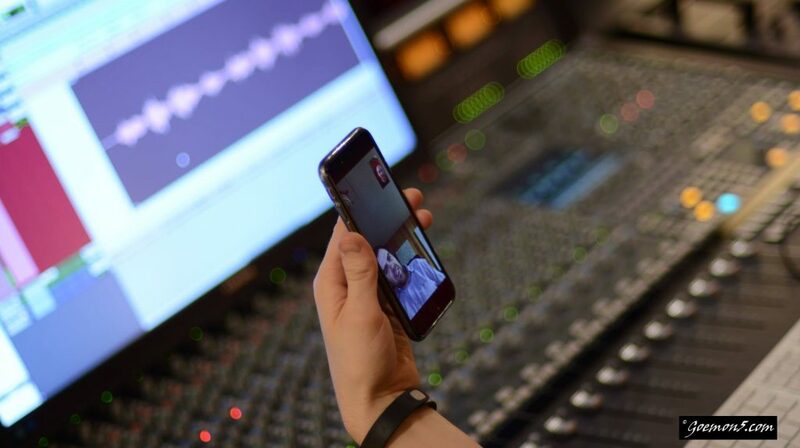 For various reasons it should be your producer who attends to almost all the details of the mix. He knows your song, knows your style, and together with you he has created a certain vision of your music. No one is better suited to fix the mix than the producer. So don’t hesitate to send him a detailed list with everything that you want to change about your songs. Maybe you will disagree on certain points, but whatever doesn’t get changed during the mixing process might just stay in those songs for eternity. And in a few months, when one of your friend’s names the one thing that he doesn’t like about your album, and you recall that you wanted to change it, but didn’t dare to ask, then you will be angry with yourself. Thus, give yourself time to reflect, and foster a thorough investigation of your final mixes before approving them. 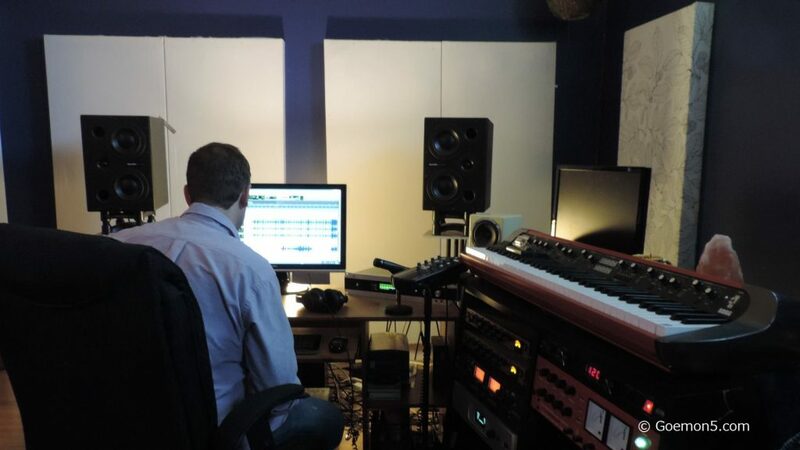 Once you have approved the final mixes, the tracks should then go off to a third person for mastering. What happens during that process is that someone listens to your music with relatively fresh ears, and through really huge speakers, so as to hear how bad your sound can get under difficult circumstances. The masterer will then adjust frequency ranges, volume settings and other aspects of your tracks until your music sounds awesome again. Ideally, that mastering person has lots of experience with said process, is familiar with your genre and style, and is not directly associated with your project. In my case the mastering was done by Spencer Cheyne. A suboptimal choice, considering that Spencer not only co-operated the studio that I recorded in, but also provided the percussion for all of my songs. However, Spencer is a brilliant producer, and he mastered my record very professionally. The final product is an absolute masterpiece, and I am very proud of the sound that my producers, session musicians, and I have created. Including complications like a moving producer and time conflicts galore, this whole project took about ten months from start to finish. I contacted Craig in the second week of May 2015, recorded the first tracks a few weeks later, and received the mastered record in early March 2016. A lot can happen in ten months, and there were times when I was doubtful about the whole enterprise. My enthusiasm for and involvement in the recording process oscillated as time went by. But whenever my motivation hit a low point, my producer would send me a fresh set of rough cuts, and the musical genius of my session musicians ensured that my love for this record was renewed. It cost me a lot of time and money to get here, but the view from where I stand is simply unmatched by anything I ever experienced before. I love my debut album, and without patting myself on the back, I can say that everyone who listens to it will find something enjoyable on this record. Yet, there is one step left before I can translate my own pride about this album into universal enjoyment among its listeners. Next week we will contemplate the perfect track sequence for the album. It is probably the most tedious and subjective decision that the album has to face, but it determines who will listen to the album and for how long. If you have come this far, you really don’t want to mess up that final step.